Metal floorstands designed for the Aesthetic line of satellite speakers. Delivered as pair and available in black or white. Includes three adapters which fit the speaker type you want to use (see manual for instructions). Cabinet in 17U to 42U sizes are as floor mount cabinets. Stationery tray, Sliding tray, Rotary keyboard tray, Cantilever shelf, Modem tray, Vertical power manager, Fan tray, etc, are available as accessories. 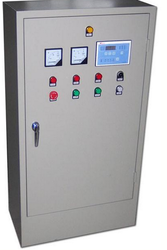 We are offering Floor Standing Cabinets, which are manufactured using high grade material to ensure that the end products are durable. Available with side panels with slam latches, the design of the cabinet supports easy cable management. - Gives high class interior design. Installed in skirting wall of perimeter. 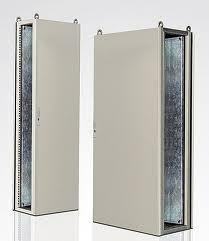 NetCabs in 17U to 42U sizes are as floor mount cabinets. Stationery tray, Sliding tray, Rotary keyboard tray, Cantilever shelf, Modem tray, Vertical power manager, Fan tray, etc, are available as accessories. The Gen II V-LINE cabinet is easy to use and designed to meet the most common 19 rack mount data communications storage application needs for today's networking environment.